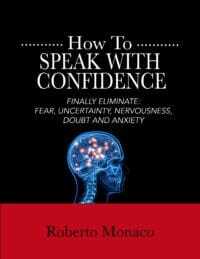 "How to Speak With Confidence"
Download "The10 Beliefs of a Master Influencer" and uncover what you must believe if you want to become a Master Influencer and your favorite speaker. Download "How to Turn Pauses into Influence" and master the art of science. Sometimes less is more. Pauses can drastically improve your engagement. In my 10+ years of being in the business of speaking, I've hired, trained and consulted every type of speaker that you can imagine. From the top dogs that are already famous in their industry, speaking on stages, to the meek and phobia-stricken beginners, and everyone in between. And without exception I always started our consulting relationship at the same place. In the above list, many of those 'titles' come with pre-existing conceptions of ability, prestige, wealth and power. But when it comes to speaking, you can throw any and all 'labels' titles out the window. The person that you think would be the most powerful, dominate and confident -- can't speak in front of a group of friends. The one that is soft spoken and reserved -- an absolute force to be reckoned with. The one that has all the books smarts -- can't sell a thing. The guy with all the street smarts -- closes like a freight train. Your ability to speak and influence others IS NOT what others think about you, it's what YOU THINK ABOUT YOU! ... those are helpful and necessary to become the best influencer you can, but they are secondary to your mindset. That is why I wrote, "The beliefs of a Master Influencer" and "How to Speak with Confidence". Before you do anything else, you should start by downloading one of the books below.